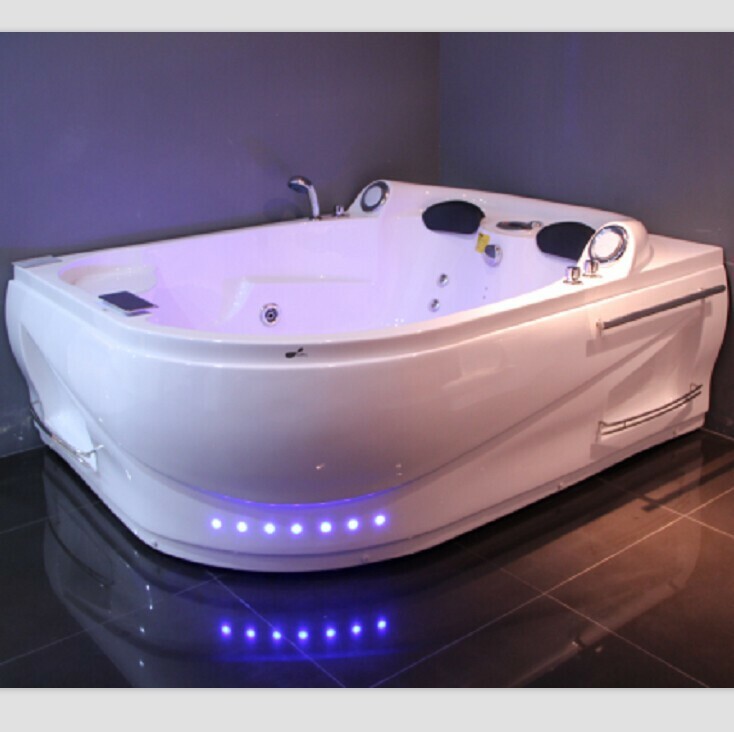 Size is an important aspect of hot tub selection and it is easy to be mesmerized by a massive tub and enormous housing. However, the best hot tubs must not only have enough room to fit many people, but it must also be equipped with amenities that will contribute to a pleasurable experience each time. 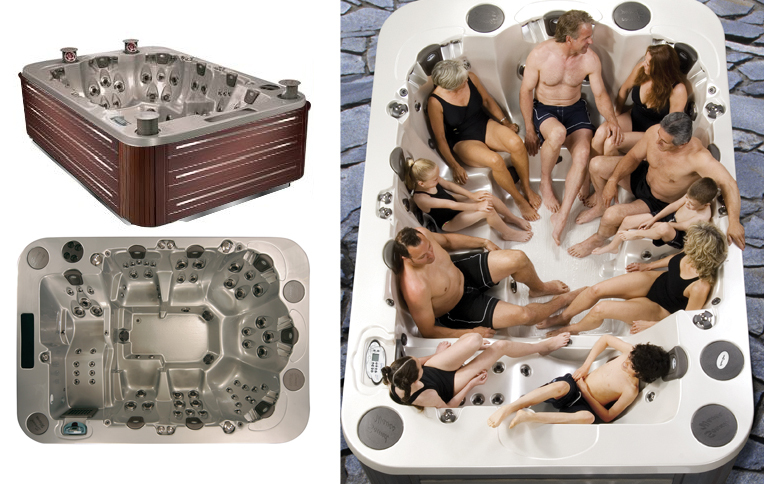 Small hot tubs are great but the big ones such as an 8 person hot tub can offer so much more. The cost to buy and maintain one may be high plus you may end up spending more on water and electricity bills. But it can also be a worthy investment with all the space and amazing features that it offers. Create new wonderful memories with loved ones. Or host the most exciting Sunday barbecues where you invite friends over to a weekend of leisure and relaxation in your spa. Choosing the right spa can be tough. For an 8 person hot tub alone, you may get confused with all the brands that have come out and all the fancy names that companies use. This is why we came up with a shortlist of great options. To get more information, check out your local dealers, spa depots and even online sellers like Ebay. The perfect choice for those looking for cheap hot tubs that can comfortably seat eight adults. With a width of seven feet, it is relatively small and a good option for those who have problems looking for an 8 person hot tub to fit their small backyard. It has one pump strong enough to power all 52 jets and lighting system. Go to Spa Guy Spas if you wish to learn more about this awesome unit. A great unit for those on a limited budget and those seeking low 8 person hot tub prices. It may be big but it costs relatively less to run because it uses minimal energy and less water. What is even great about the Ponoma model is that it is fitted with many water jets, a state of the art filtration system and electronic controls. To learn more, go to Arctic Spas today. They do not call this one utopia for nothing. When you seek utter bliss and perfection, look for this 8 person hot tub by Caldera Spa. Its spacious layout comes with seven ergonomic seats and one recliner for those who to lie back. And because of its immense size, it is only proper that it is fitted with water jets as many as 74 which can be operated in six different jet sequences at three speed levels. A spa will not be complete without waterfalls, sound system and colorful LED lighting system for that soothing ambience. Dimensions of 8 person hot tub configurations vary from one kind to another. If you want a rectangular outdoor hot tub as big as nine feet and powerful enough for parties, then you must check out Diamond D970N hot tub from Cal Spas. When you have got a spa this big and with 70 water jets, Cal Spas knows that it must only be built with multiple quality pumps, high grade hot tub filters and a strong motor. D970N also boasts of its air-injected and supercharged jets, waterfall and LED lighting system to complete the luxury spa experience. Jacuzzi makes a lot of great spas that range from the portable 2 person hot tubs to the more fancy and top of the line 8 person hot tub like the J-495 model. This unit is fitted with three pumps that will let you enjoy 62 water jets which you can easily adjust and customize based on the kind of massage that you prefer at any given time. A special feature called diverter makes it all possible to have a unique massage experience for every seat. Although not usually included with new hot tub units, most hot tub accessories are very useful. Sure, you may end up spending more and they can increase hot tub prices. However, some accessories are necessary for maintenance and play an important role for overall safety while there are others that you spend on to make the soaking experience a lot more pleasurable. Let us have a look at some of the common accessories. You can still use your 8 person hot tub without the covers, but you risk exposing the spa to rain, UV rays and other environmental factors that can shorten its lifespan and negatively affect performance. Spa covers also boost insulation and reduce heat loss while it also keeps dirt away from tub. Getting in and out of the tub can be difficult and sometimes even hazardous. Steps are made reduce that danger of slipping or falling. It provides ease in getting in and out of the tub. Should you decide to buy hot tub steps, make sure that they match. There are also steps that can be used as storage for other small accessories. Music can work its magic on a boring day and a really hectic week. What is a spa party in your 8 person hot tub without a party music anyway? Look for a waterproof stereo for your hot tub and make sure to get one that perfectly fits your unit. It is better if you also have a durable weatherproof speakers that can be placed outside. You need a tray or table to put your drinks and snack. There are various designs and colors to choose from so you do not worry about finding one that is aesthetically compatible with your portable hot tub. Some may even double as a towel holder. Filters require regular rinsing and cleaning. In due time, they also need replacing to ensure that you are soaking in clean water. Visit hot tub reviews to learn about good filter cartridges and proper maintenance.